The official body that's overseen the legal cannabis regulatory process in Massachusetts has now given the much anticipated "commence operations" notice. It has taken two years for the Cannabis Control Commission's rollout of this rather unique model for cannabis reform. On entering one of the new cannabis stores, customers are directed to either an express line, for experienced connoisseurs, or a line for "full service," where a "budtender" will helpfully guide and educate as to the effects and assorted flavors of their products. There are also private consultation rooms, which are a state requirement, for customers wishing to flick through education materials. Legal retail outlets are said to look more like an Apple store than a typical cannabis dispensary. 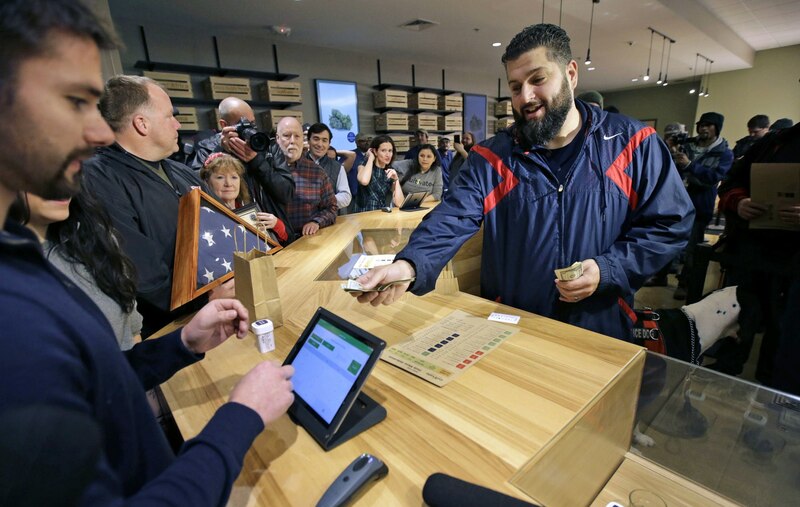 It was in November of 2016 when voters in Massachusetts said yes to Question 4 on their ballot paper, agreeing to legalize cannabis, and on November 20, this year two retail stores opened their doors to consumers aged 21 and over. Five Cannabis Commissioners were appointed in Massachusetts to oversee the framework around setting up this new industry, and their expertise included backgrounds in public health and safety. Massachusetts has placed a firm emphasis on its "social equity" program, which is designed to ensure that people from ethnic communities —most notably black people and those with Latin backgrounds—are not excluded from the new industry. Much like the UK, the US has disproportionately enforced the drug laws, with people of color receiving a higher rate of arrest and prosecution. Previous convictions for cannabis have now been expunged in Massachusetts for this very reason, to try to ensure that previously harmed demographics have a chance to move on and potentially thrive in the industry. The Cannabis Control Commission points out on their website that race disparity in drug convictions also impacts families and communities. New cannabis markets seem to be blooming, but grassroots activists across the globe are growing wary about this new industry being dominated purely by financial interests and inherently lacking diversity. Those who have historically been harmed by drug laws, or those who have put decades of effort into making sure reform has taken place, could be in jeopardy of being side-lined by new investors, some of whom have previously opposed legalization, such as high-profile examples like John Boehner, the former Republican Speaker of the House of Representatives. With an eye on making sure diversity is present in Massachusetts, small businesses are to be given a foothold too. Micro businesses could also be allowed to embark on a home delivery service—an initiative that's currently being considered—but regardless of that specifically, small, locally-owned businesses are definitely being discussed. "The biggest challenge for me has been ensuring that our measures are effective in including small businesses and owners of different backgrounds," says Shaleen Title, one of the commissioners. "I hope that we will see progress once we launch our first-of-its-kind social equity program this year. Passing that program was definitely the highlight for me." All licensees are required to submit a diversity plan, as well as a plan to positively impact communities that have been disproportionately harmed by drug prohibition. Members of the disabled community will also have access to the new cannabis industry. "Every single business licensed by the Commission must include in their application a diversity plan to promote equity among people of different backgrounds, specifically including people with disabilities," says Title. “The key, for me, is to continually collect data from the communities we are seeking to serve and to be flexible and address their concerns and challenges." As global discussions around cannabis reform heat up, there are already cannabis industry functions and networking seminars taking place across the UK and Europe. Concerns are growing from grassroots activists who detect that, despite laying the groundwork through decades of activism, their own entry into a legal market may be usurped by those who have only recently surfaced and have big enough wallets to invest at the early stages. Massachusetts could become a template for a new ethical approach to cannabis reform. This is why it's crucial for all new territories to start a social equity conversation right from the very start, and at a grassroots level. Follow Jason Reed on Twitter.